Explore Birmingham city centre from our modern hotel. No matter your reason for travelling to the Birmingham Marriott Hotel, we offer everything you'll require for a rejuvenating visit. We feature a picture-perfect location in the heart of Birmingham city centre, allowing for easy access to a host of renowned landmarks, such as Broad Street, Cadbury World, the Barclaycard Arena and the ICC. Your meeting attendees visiting Birmingham will be thrilled with our four-star room accommodation. All of our spacious, impeccably appointed hotel rooms boast a plush pillowtop mattress, a flat-screen TV, high-speed Wi-Fi, in-room dining and more, while our assortment of on-site amenities will be sure to impress. Enjoy a well-equipped renovated fitness centre, indoor pool, a tranquil spa and expertly crafted American style cuisine at our signature West 12 Bar and Grille. Our hotel can provide a sensational backdrop for your next meeting or social event, with six adaptable venues, first-class planning and catering services and exceptional placement in Birmingham city centre. 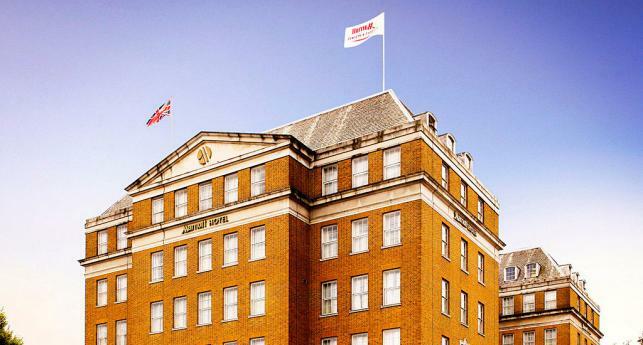 For a four-star experience you won't soon forget, plan your stay at the Birmingham Marriott Hotel.